In the beginning of 2008, Robert Jackson Miller III, an ivy-league graduate and successful architect based out of New York City, went to a dermatology appointment for a routine checkup. He had recently co-founded Miller & Wright Architects and his work had already been featured in Architectural Digest, the New York Times, and the Wall Street Journal. Miller was then 42 years of age, with four young daughters, and had no reason to believe he would be getting any bad news. Everything was as it was supposed to be until Miller received a call from his dermatologist. He had been diagnosed with melanoma in his right leg. Miller did not let the news stop him from living life or coaching his daughter’s lacrosse team and by July 2008 his dermatologist, Dr. Teresa Notari, declared that his cancer was in remission. Miller went back to work and his family believing the worst was behind him. But he continued to visit Notari for regular checkups. In January 2012, during a visit to Notari’s office his right inguinal lymph node was examined, but the doctor failed to notice any swelling. The next month, Miller went in for his annual physical and his doctor pointed out an inflammation, but misdiagnosed the lump in his leg as hernia. In March 2012, less than a month later, Miller returned to Notari to make sure everything was normal and again the dermatologist examined his leg, but did not note any swelling or irregularities. By October, however, the growth was the size of a golf ball and about a month later it was determined that Miller had metastatic melanoma in his right inguinal lymph node. After more than a year of treatment, including the amputation of his right leg, the cancer could not be contained and he died on March 10, 2014. Miller was 48-years-old. His wife, Grace Miller, then filed a malpractice lawsuit against Dr. Teresa Notari and the Summit Dermatology Group, claiming that due to Notari’s negligence her husband’s cancer went untreated for years, which may have cost him his life. The lawyers representing Miller’s estate sought $8 million in economic damages in addition to compensatory damages for pain and suffering. But the case was reportedly settled for $980,000. 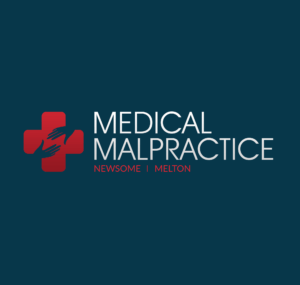 An additional malpractice lawsuit brought against Dr. Michael Ford and the New York Presbyterian/Weil Cornell Medical Center by Miller’s estate for the wrongful hernia diagnoses in February 2012 is still pending.